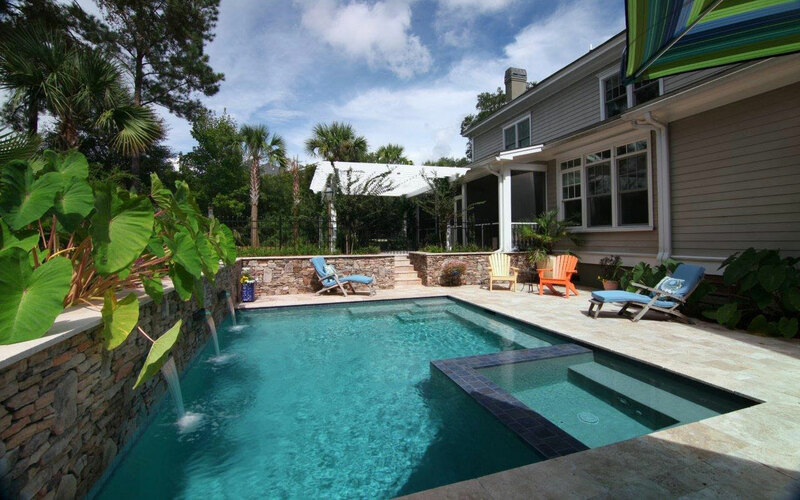 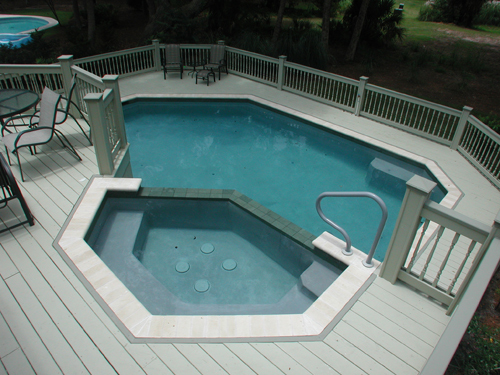 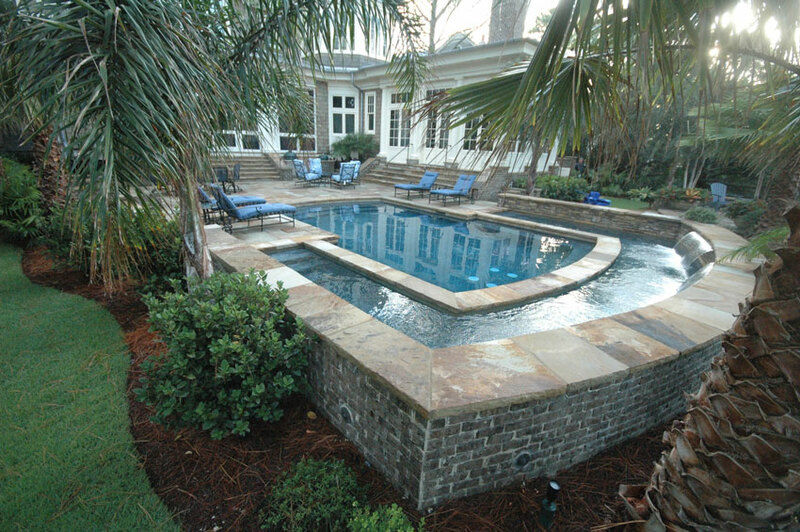 Geometric Swimming Pool located in Coastal South Carolina built by Aqua Blue Pools. 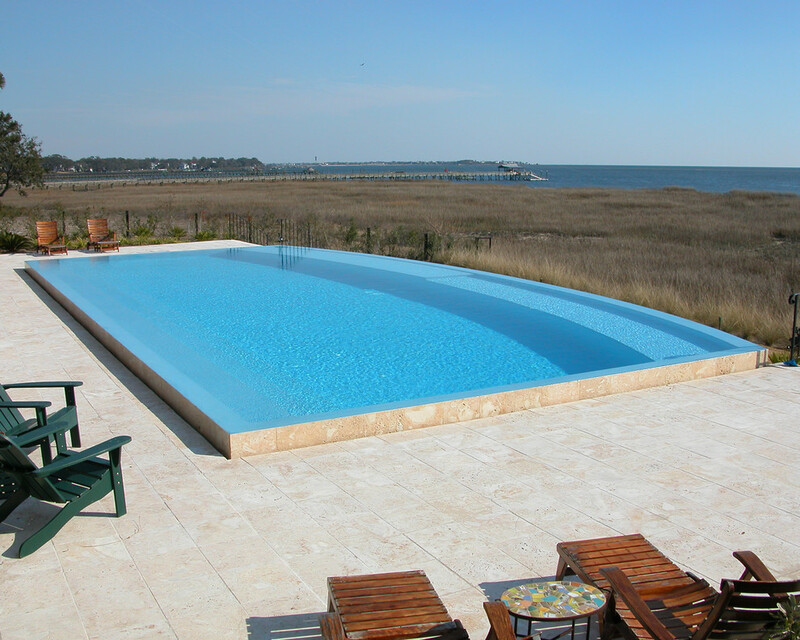 Beautiful swimming pool overlooking Charleston Harbor. 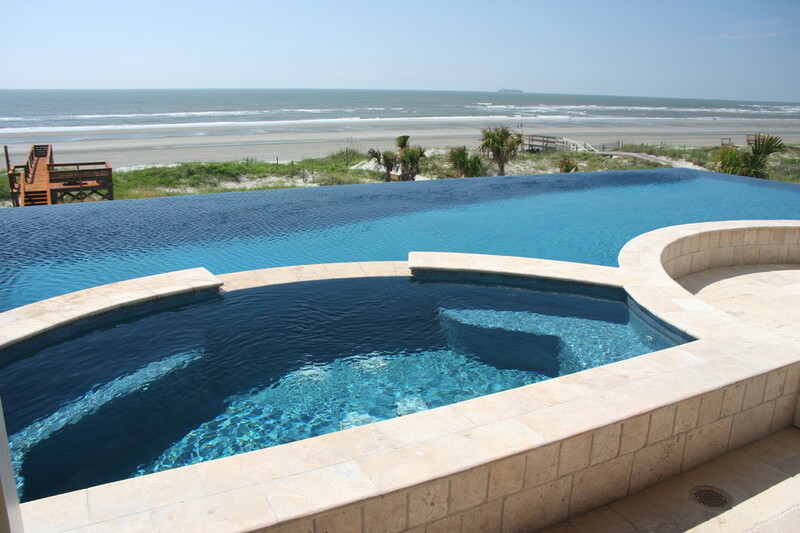 This is a three-sided infinity swimming pool and spa combination.